Clean, healthy eating is so important for optimal health – but do you know what you are really eating? I always challenge my clients to know what they are eating – by that I mean the nutritional information and values of their food. But here is something you need to consider; even if you are eating what everyone would call ‘good’ or ‘healthy’ food – you can still over do the healthy eating. 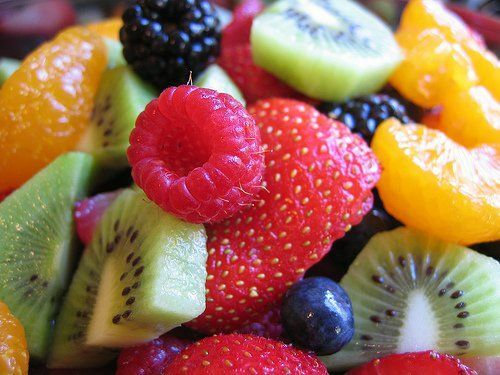 Lately it seems we are learning a lot about ‘super foods’, perfect veggies, nuts, berries or fruits that are so good for you, that you are supposed to eat them every day. So, we are doing so well and eating ALL the healthy foods – but unfortunately we do not realize how many calories we are consuming. I did a little research on fruit, look at the nutritional statistics below and see how you favorite fruit stacks up. Remember, to eat the proper serving size.